Servicing should be performed, if possible, only by an authorized BMW dealer. 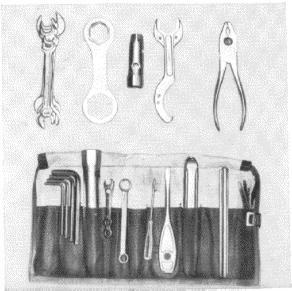 Tool Kit supplied with the motorcycle. The service operations are described in detail on the following pages, in the same order as in the Service Schedule.